kiwi bird – Infinite Sadness… or hope? Remember the kiwi? It’s not a piece of fruit (that’s a kiwifruit) but a small, flightless bird. Our national icon here in New Zealand, s/he lives in the undergrowth of the New Zealand bush doing all s/he can to avoid predators. S/he is an endangered species, and that must be hard when you’re a bird… and you can’t fly. What’s more, as someone pointed out to me recently, s/he also can’t swim. Actually it’s amazing s/he has survived, against the odds, for so long. According to the Department of Conservation, who work to protect this, and other natural treasures here in New Zealand, there are only about 72,000 of these birds left. Actually that’s not many, and you won’t see them easily when you come here as they are also nocturnal birds. Even if you’re not from New Zealand, it’s hard not to be taken with the kiwi. A bird that can not fly, that hangs out in the dark, and apart from an impressive looking beak, does not have much with which to defend itself. 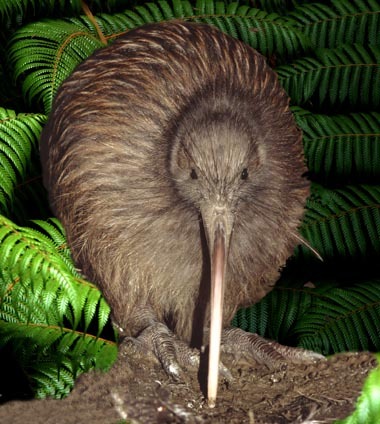 The kiwi (bird) is where some 4.5 million New Zealanders take their name. We are also known as kiwis, and personally I’m honoured to be represented by such a bird who faces the odds, time and time again. That kiwi (the bird) can not fly… but this kiwi (me) is going to fly. In five weeks, I am going to get on a plane (actually several) and fly half way around the planet to be with someone I love. Standing on the edge, there are risks, but I’ve measured them and believe they are worth it. Aside from the risk of flying half way around the planet to be with someone I haven’t met in person before, I also have to face 31 hours of travelling time. Yes, that’s right. 31 hours. That includes stops in Sydney, Bangkok and Dubai before I get to my destination in England. And that is the shortest possible trip I could afford. 31 hours of sitting on planes, and passing time in airports is not exactly many people’s idea of fun. The most I have ever done is 15 hours and that was hard enough. Now I am doubling that, and have to factor into the equation my fibromyalgia. Anyone with fibro, or probably any type of chronic pain, will be wincing at the idea of this. It is a huge undertaking when sitting for any extended length of time will see my body seize but, and walking through airports and waiting in lines will see the fatigue set in. This is not going to be easy, or even pleasant. But that has been part of the weighing up the risks for me. I expect by the time I get to England I will be half dead, but it’s worth it. I have no doubt of that. I have done my homework on what I should expect of my body but I admit I haven’t yet considered too closely what my brain function might be like by the end of this. Will I be able to think straight? Unlikely but Frank knows to expect a wreck off the plane. If anything can test our commitment to each other it will be the state of me after that 31 hours. While it would be nice to think I’ll be looking my best, I know I won’t be. That’s just how it is. Sometimes that’s life. The difficulty with fibro is that I really can’t accurately predict how I will be. I know sitting immobile is a factor, as is the difficulty of sleeping over that time. I would love to have one of those seats where you can lie down properly to sleep, but they were way too expensive. I also know walking long walkways in airports might be difficult. But I might handle it all really well. Let’s hope. Meantime I did some reading. 7 Keys to Savvy Traveling with Fibromyalgia by Tami Stackelhouse, a Fibromyalgia Health Coach provided some interesting food for thought. Some of it I admit I struggled with though. One of the first ideas suggested was to use wheelchair assistance in airports. Hmm. It might be a good idea, because usually there is a lot of walking in airports, but I’m not ready to face a wheelchair just yet. I’m struggling enough with hope right now (see Fatigued Hope), without going that far. Maybe that’s pride, maybe it’s stupidity, and maybe it’s maintaining some sense of self-empowerment. I think I need that right now. 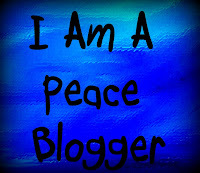 What I need from my blogging friends is to hear what works for you. Have you travelled long distance with fibro? What did you do to make this as easy, and preferable pain-free, as possible? And if I wake the morning of departure to a fibro flare, how would I be best to manage that? I am going to step to the edge, and fly (unlike the kiwi). Whatever the pain, I know this is worth it. But anything I can do to lessen that pain, would just make damn good sense.